this is by far my favorite piece to date. 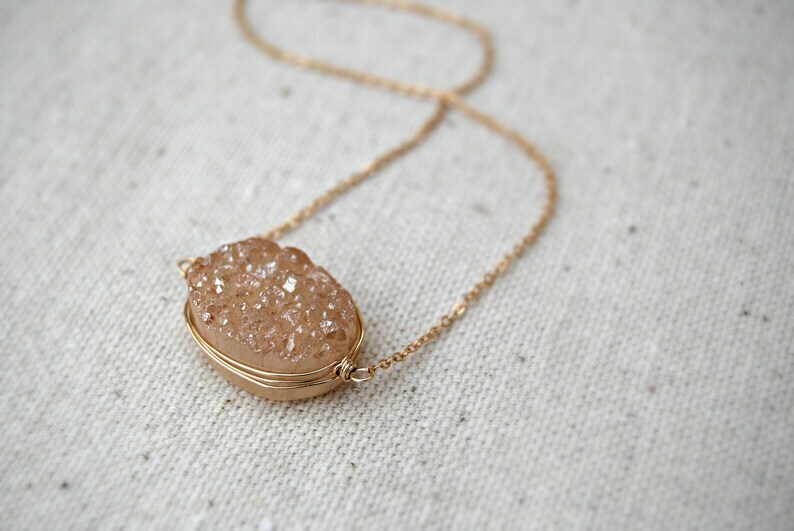 i have hand wrapped this stunning blush colored druzy quartz in 14k gold filled wire and affixed it to a delicate 14k gold filled chain. this necklace is both striking and subtle, creating the perfect piece for any occasion. this would make a stunning necklace for a bride to be or for a bridal party! 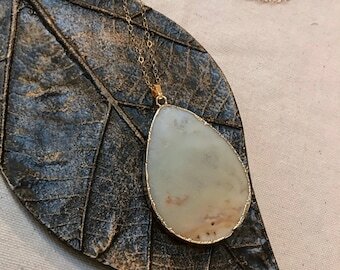 at 17 1/2 inches, this necklace will be your new favorite! 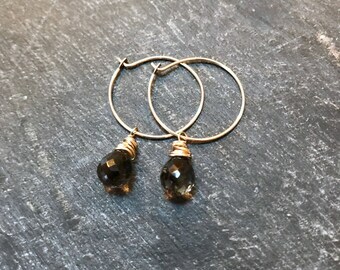 i've tucked away one of these lovelies in my own jewelry box! *each stone is unique and will have natural variations. 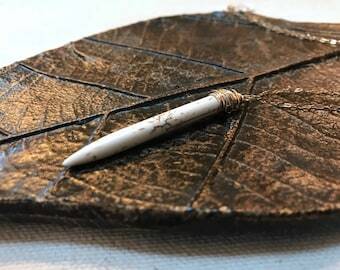 each stone is personally hand wrapped and will have slight variations as well.